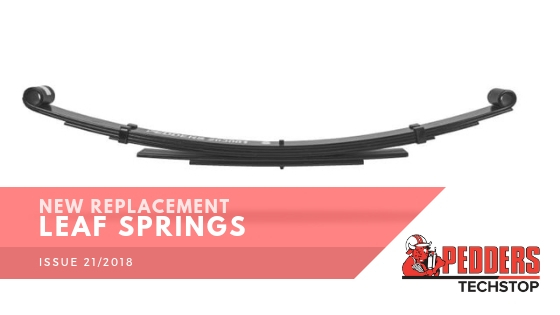 Leaf Springs are a common form of spring mainly suited to light commercial vehicles. Their design and operation have remained relatively constant over time with only small variations to modernise the ride quality and carrying capacity. Leaf Springs are usually found on solid or live axle vehicles particularly station wagons and utilities (single and double cab). Locate other components such as live axles.